The White's are on vacation! Woohoo! Thursday morning we packed up the van and drove six hours to a resort in Park City, Utah. We love to go on vacation so we've been cramming all sorts of excitement into the past few days! We've been to the zoo, Tracy Aviary, the Salt Lake temple, the planetarium, and a few other fun places. Today we're headed out on some other fun adventures! So of course the best part for me was going to the Tracy aviary! That's the place that Shawn and I went last month when we were in Salt Lake without the kids. I swear, I want to move to Utah just so I can go to the aviary on a daily basis! Last time we were there we went too late in the afternoon for some of the activities that they offer there, so this time we went first thing in the morning. 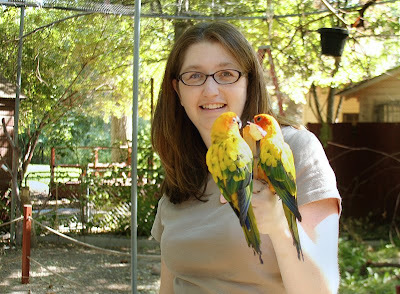 The BEST part of the aviary is that for $2 they'll let you go into the Sun Conure exhibit and feed the birds! 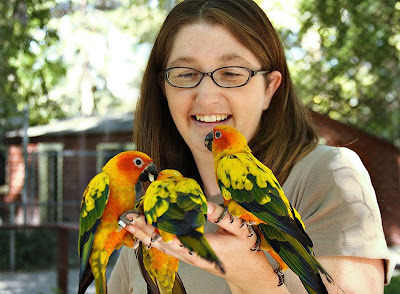 Sun Conures are part of the parrot family. They're really pretty and very friendly! We got to go in there and feed them apples, and as soon as you hold out your arm a whole bunch of them land and fight over the apple! 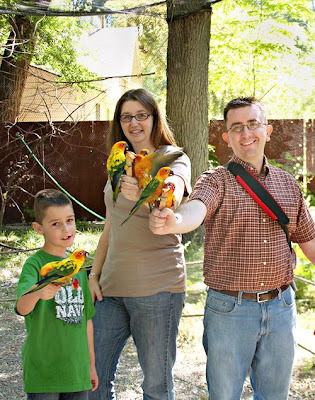 Matthew wasn't so sure about having birds land on his arm, so he mostly just watched, but the rest of us had a ball! In fact, we liked it so much that we went and paid for it again so that we could do it again! Here are a few pictures of the fun. They're not great photos, but they're just so US! I think we're always going to look back on this trip and remember how much fun we had feeding the birds. OH!! And there's one more event I'm looking forward to!! About three years ago we came up to Park City in the spring and it happened to be the weekend that the Park City library was doing a used book sale. Anyone that knows me knows how silly I get when there's a used book sale going on! I love books, I'm constantly looking for old books that I read when I was young and I love it when anything is one sale, so I get way too excited when it comes to used book sales! Anyway, the last time we were here I went to the sale and left with a HUUUGE arm load of books and I was on a used book high for weeks after that! And by some crazy coincidence, the Park City library is doing another used book sale this weekend!! Woohoo! So I'll be dragging my family over to the library to see how many books we can carry out of the library. Check back for more adventures coming soon! If this doesn't make you laugh I don't know what will! I have all this inventory now so I decided to put some of it up on Etsy. I'm still going to be selling on my regular website, but I'm hoping to get some extra traffic on Etsy. I'm going to be adding some framed prints tomorrow, so check back! Whew, what a day! After a week of stressing over the Saturday Market, I finally made it! I was so nervous about it this morning for some reason, but as soon as I got there and got everything set up it was actually really fun!! The weather was perfect, there was a good crowd and I really enjoyed it. I sold several things, which is good! I was hoping that some of the bigger priced items would sell, but I mostly sold cards, unframed prints and a few smaller framed pieces. I'm happy with that though, it was a really good learning experience for me and when I do it again I'm going to know more of what to expect. I saw a few people I know, which was fun, and I had one SUPER nice lady come over and mention that she read about me in Boise Weekly and she stopped to chat for a bit. Even though I didn't sell a ton it was a really fun, successful day. I'm not used to displaying my photos in public, so it was kind of an interesting experience. It was kind of neat to see people come by and look at them. Lots of little boys wanted to stop to look at my Thomas train silhouette and lots of men stopped by to look at the guitars! So all in all it was a really good day and I'm glad that I did it. I will probably have more opportunites to do it again in the future and I look forward to it! If I'm still sane by the time this whole farmers market thing is over it's really going to be a miracle! I think I underestimated how much work it was going to be to get ready for it and in typical Wendy fashion I've waited until the last minute to get it all together! I'm really excited for it, I'll be at the 8th street Farmers Market in downtown Boise this Saturday from 9-1:30. So if you're in the area, stop by and say hi! Plus if you stop by and tell me that you read my blog I'll give you a 10% discount! I think it's going to be great, but it's sure keeping me busy getting ready for it. I've never done an art show like this before, so I'm kind of starting from scratch and there are a lot of things I need to round up by Saturday. 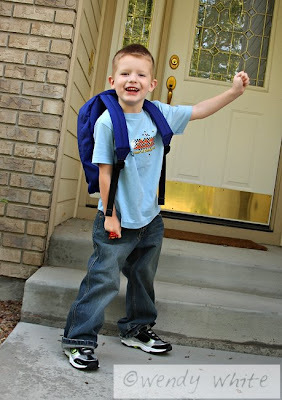 As soon as I get Matthew off to school today I'm going to be out tracking down some last minute items. I've spent the week trying to track down a credit card imprinter and I think I've finally located one so I'll be able to take credit cards, which will come in handy. I've ordered a ton of prints, a few canvases, I'm going to have some things framed, I'll have greeting cards and hopefully a few other fun things. Now let's just hope and pray that I sell something!! In other photography news, I don't think I mentioned it, but I actually had the opportunity to help shoot a wedding last week! My photography teacher Dirk called and asked if I wanted to be his assistant on a wedding shoot and I jumped at the chance! I've gotten pretty good at nature and still life photography, but weddings are in a whole other ballpark. It was an outdoor wedding at a really beautiful place in Star, and the bride and groom were adorable. But I'm telling you, after that day I have a whole new respect for wedding photographers! That is some seriously hard work! It was super hot and I'm not used to carrying my heavy camera around for that many hours. Dirk is used to it and it didn't really seem to phase him but I was pretty worn out by the end of the day! It was fun to watch him work though and I had a lot of fun shooting with him. It was a really great learning experience for me, wedding photography really requires you to think fast. If you miss the shot you've REALLY missed it. You can't reshoot a wedding! It was a great opportunity though, I've been lucky to be able to learn from Dirk. So that's all my photography news for the day. For a blog that was supposed to be about adoption, there's sure a lot of photography new in it, isn't there? I can't wait for the day when adoption news is the big topic in my life. At the moment I'd love to give an update, but there just isn't one to give. We're still just waiting. Some of us more patiently (Shawn) than others (me). I've temporarily banned myself from my Korean adoption message board. Looking at all those babies just makes it harder to wait!! I want to take every last one of them home with me. OH MY GOSH!!! Just as I was writing this it occured to me that today is the 9 month waiting mark!! We started waiting on November 21st last year, so every month on the 21st I kind of have my own little celebration that another month has passed. but in the craziness of trying to get ready for the Farmers Market I didn't even realize that today was the 21st!!! So as of today we have officially waited 9 full months and we're starting on month 10. And that means that we're officially more than halfway there!!! WOOHOO!!!! Today while I'm out hunting for supplies for Saturday I'm going to stop and buy myself a treat for getting through another month. I wonder what Clarissa's birth mother is doing today. Does she look pregnant yet? Has she felt the baby kick? I wonder if she's had an ultrasound and has seen our sweet little Clarissa. It's strange to think that there is someone on the other side of the world who is going to be so special to me and I have no idea who she is. I'll always wish that I could meet her and say thank you, but I know that I most likely will never get that opportunity. I'll think about her today as I celebrate one more month passing. I pray that she has peace in her heart. Wow, it's been a busy week around here!! 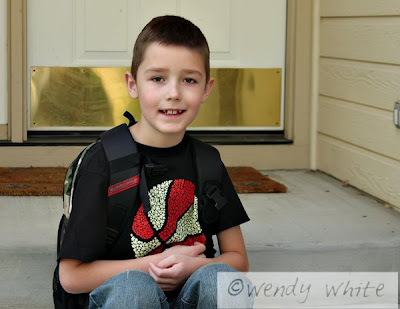 Wednesday was the first day of school for our kids and Friday was Matthews birthday. Needless to say, there's been a lot of chaos around here for the past few days! The kids are really enjoying school so far. 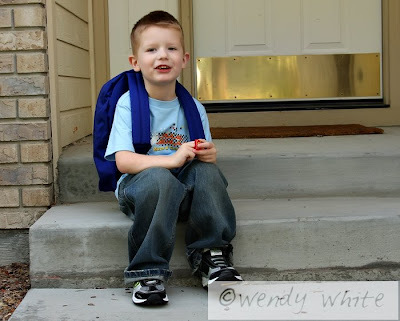 Josh is in the third grade and Matthew is now our big Kindergartener! I can't believe how big they're getting. Everytime I turn around we're hitting another milestone and they're outgrowing another pair of shoes! He's just growing up too fast!! So now that we have both kids in school, I'm actually home alone for part of the day! That feels so WEIRD! I think it's going to be a good thing because I have a lot of photography projects and other things that I'm working on these days, so some quiet time is good, but it sure feels weird for the house to be so quiet during the day. I enjoy the alone time but I really look forward to the afternoon when the kids come home and tell me all about their days. And speaking of photography, I have a LOT going on in that department these days! This Saturday I'm going to have a booth at the Boise Saturday Market. I was going to do it last month but I was so busy that I had to put it off. But this month I'm ready to go and I'm really excited! 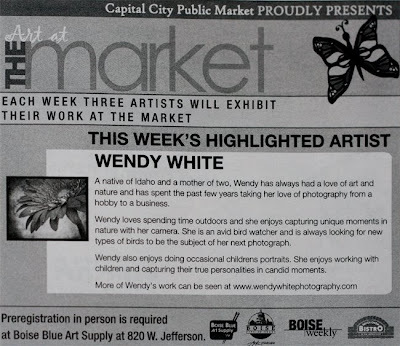 And in HUGE NEWS, I got a call yesterday from Boise Weekly, which is a weekly lifestyle and arts newspaper in Boise and the woman said that they are looking for an emerging artist to feature in this weeks magazine and wanted to use ME!!! So again, if you're in Boise this week, be sure to pick up the Boise Weekly and read my bio. I'm super excited about that! So after all that photography news, here are a few photos to share. I took these just for fun the other night. 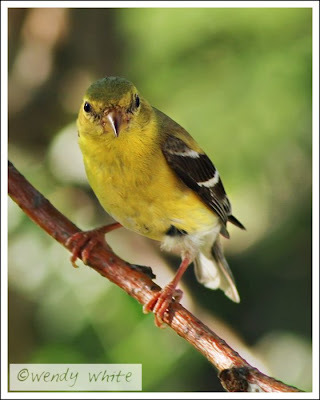 Ever since getting the new birdfeeder in my tree I've been enjoying some new birds that are stopping by to visit. 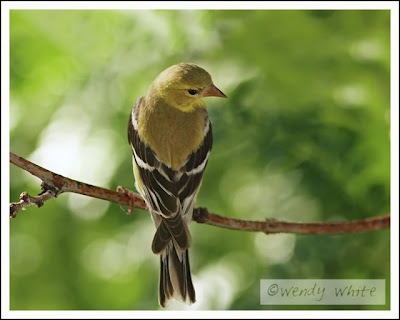 My favorites are the goldfinch! They're a pretty yellow color and they've been fun to watch. They're quick little guys though, so taking a good photo of them has been difficult. However, after many misses and blurry photos of goldfinches flying away I did manage to catch a few the other night! 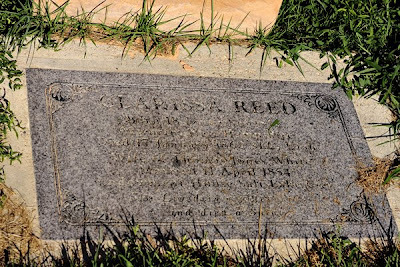 Before I get to the reason I'm telling this story, let me tell you a little bit about the life of Clarissa Reed White. Clarissa was born in New Hampshire in 1814. She moved with her family to Ohio when she was young and her family joined the LDS church less than a year after it was organized by Joseph Smith. She became Joseph Smith's housekeeper and he introduced her to a man named Levi Ward Hancock, whom she later married. Clarissa and Levi eventually moved their family to Far West, Missouri, where unfortunately the LDS church was not well accepted by the people in that area. We have a pretty good history of Clarissa's life and one part that always stands out to me is a part where it's explains how she gave birth to her fourth child while mobs stood outside and threatened to kill every LDS member they could find. What a scary time that must have been for their family. They endured a lot while in Far West, and Clarissa was so strong during that time. She helped make rifle bullets, nurse the wounded and even defend her home. In Far West when the weapons were taken from the LDS people, she told a group of women "We can do as the Carthege women did when the Romans took the arms off their husbands. We can pull the hair our of our heads so the men folks can make bowstrings." What a tough woman she was. Clarissa is someone who I would love to have known. In 1839 they were forced from their home in Far West and had to leave their farm and home behind to find a safer place for their family in Navoo, Illinois. In 1847 when it became clear that the LDS people were no longer safe in Illinois they started the trek on foot to the Utah valley with many other LDS pioneers. In the end 70,000 members of the LDS church made the 1,300 mile journey in covered wagons and on foot from Illinois to the Salt Lake Valley. I can't imagine how hard that must have been for those people. When the reached the Salt Lake valley, Clarissa's husband Levi decided to continue on to Southern Utah, where they were settling more colonies. After already making a very long journey Clarissa had decided that she'd had enough. Levi and Clarissa divorced and he went on to Southern Utah alone. Clarissa eventually met and married Thomas Jones White, who was from England and had traveled to the Salt Lake Valley alone. They settled in Salt Lake and that's where Clarissa spent the rest of her life. She died in 1860 from pneumonia, leaving behind several children, including a young baby. 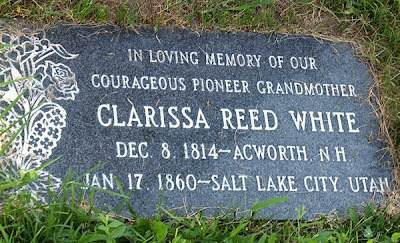 One of Clarissa's children was named Thomas Reed White. He had a child named Lee Layman White, who had a child named LeeRoy White, who had a child named Shawn White, who is my wonderful husband. I wish that I had the time and space to tell you more about Clarissa because she was truly an amazing woman. We are lucky to have a pretty good life history of her and I've enjoyed learning about her life. While going through family history one day we came across her story and there was no doubt in our minds that we wanted to name our daughter after this courageous woman. So now I get to the point of my story. While we were in Utah last week we realized that Clarissa is buried in Salt Lake and we thought it would be neat to go visit her grave. It was a really amazing experience and I thought I'd share a little of it here. Clarissa is buried in the Salt Lake Cemetery, which is a pretty big place and we had no idea where she was buried. We drove into the cemetery and realized that we were looking for a needle in a haystack. We didn't really know how to find her so we just started driving, hoping we'd figure it out. So we drove up the first path and took a left. We drove a little more, took another guess and took another left. We drove halfway down that path, stopped....and there she was! We literally drove into that cemetery and drove directly to her grave like someone had given us exact directions. It was an interesting experience that left us with goosebumps. Clarissa's grave is very neat to see. 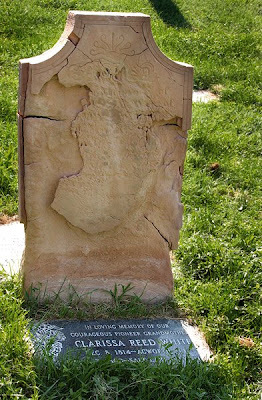 The original headstone is still standing, although you can no longer read it. 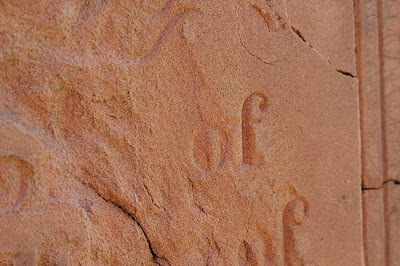 It looks like it's made out of clay, and it has worn down over time, but at some point descendants of Clarissa have added two more modern markers to her grave site. Here are some photos, although I wish that we had been there when the lighting was better. The sun was really bright and it was hard to get good photos. The tall headstone is the original stone that was placed when she died. You can make out a few small words on it, but for the most part you can't tell what was originally on it. Here's a close up and you can make out a few words. From what I can tell it probably said "Wife of Thomas Jones White". These are the two markers that have been placed later. The first one is easy enough to read. This second one appears to be older, although I have no idea how old. That last line is really powerful to me. What a wonderful tribute to Clarissa. I'm grateful to her for all that she endured in her life, that she came across the plains to Utah so that she could continue on in the LDS church, raise her children to follow in her path and pass that down several generations later to my husband. I hope that we can raise our Clarissa to know the great woman she was named after, and I hope that she uses Clarissa as an example of strength and courage in her life. So there you go, the story of Clarissa. I know that it was long, but I hope you enjoyed taking the little journey with me. We're going back to Utah in a few weeks, so we may be visiting Clarissa again, this time with our kids so that they can learn a little more about their special ancestor as well. I can't wait for the day that we can take our own little Clarissa there to visit and to learn more about the amazing woman she was named after. Every summer my mom hosts "cousins camp" at her house. She invites all the grand kids to come spend a few days making crafts, making a mess, and running wild through her house so the parents can spend a few days NOT having to make crafts, clean up messes and telling their kids to stop running wild through the house. It's glorious. 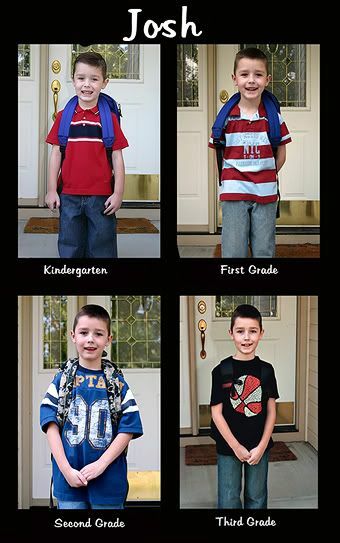 :) My kids look forward to it all year. This year they even got to go to a rodeo, which Josh was fascinated by. It's a good opportunity for them to spend some time with the cousins that they don't get to see very often and it's a great opportunity for me and Shawn to run for the hills!! Every year we always to find something fun to do for those few days without the kids. This year we decided to rent the honeymoon suite at a fancy hotel in Salt Lake City and go on our honeymoon. :) We had a really great honeymoon when we got married, but sometimes it's fun to drop your kids off and go on another one. Who says you only get to have one?! So I've been looking forward to this trip all month. Shawn has been so many working 60+ hour weeks lately that I've practically forgotten what he looks like, so it was nice to just drop everything and get out of town for a few days. Unfortunately the trip hit a few bumps along the way! Last Thursday morning when we dropped the kids off at my moms house, we were all prepared to hit the road and head to Salt Lake. and then halfway to the interstate the brakes on our van started making a horrible grinding noise. Faaabulous. So instead of getting to Salt Lake by noon like we'd planned, we spent the entire morning waiting to get our brakes fixed, and by the time we were on the road we'd kind of wasted most of day one of our adventure. That's OK though. Shawn and I can turn anything into a good time. We amused ourselves by looking at National Geographic photos in the lobby of the repair shop. Fun times. :) And on an unrelated note, I'm insanely jealous of National Geographic photographers. Can you imaging what an amazing job that must be?! Anyway, we did eventually make it to Salt Lake with fixed brakes and had a wonderful trip. We stayed in a beautiful hotel and enjoyed spending some time seeing the sites in Salt Lake. I grew up three hours from Salt Lake, so we used to go all the time when I was young, but I don't get the chance to go there nearly as often anymore, so it was nice to go see what was new and visit some old places that I've always enjoyed. One of my favorites (of course!) is the zoo! I love to go to the zoo in Salt Lake, and I love to go to the zoo without the kids because no one ever wants to sit and look at the animals for as long as I do! Shawn is a saint, he pretty much spent the day waiting while I took a zillion photos and then sitting on the bench watching the monkeys with me, which is my favorite part of the zoo! Seriously, I don't think anyone enjoys going to the zoo as much as I do. Anyone who goes with me gets bored waaay before I do. Shawn's a good sport. Oh! 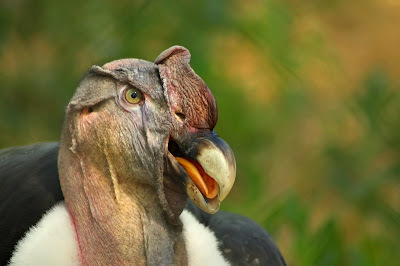 And we saw a California Condor, which was fun since you don't really see them very often. I think they're the funniest looking birds, so of course I got out the camera again. I took a TON of pictures, but I haven't had a chance to go through them all yet. 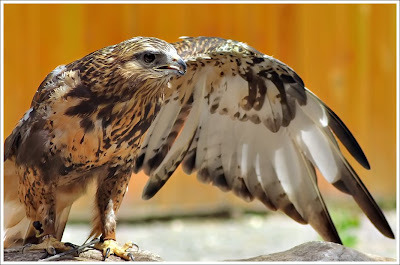 I got some really beautiful ones of an owl and a type of Cardinal and several other interesting animals. I was actually waiting to make this post until I'd had a chance to go through them so that I could post them all here, but life has gotten in the way, so I figured that if I waited until I had the photos organized it might be weeks before you heard from me. So all in all it was a really fun trip. I have some more stories to tell you from the trip, but I think I might save them until tomorrow. 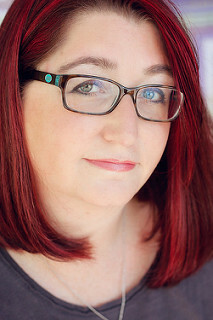 I have an interesting Clarissa story to tell that might just deserve it's own post.